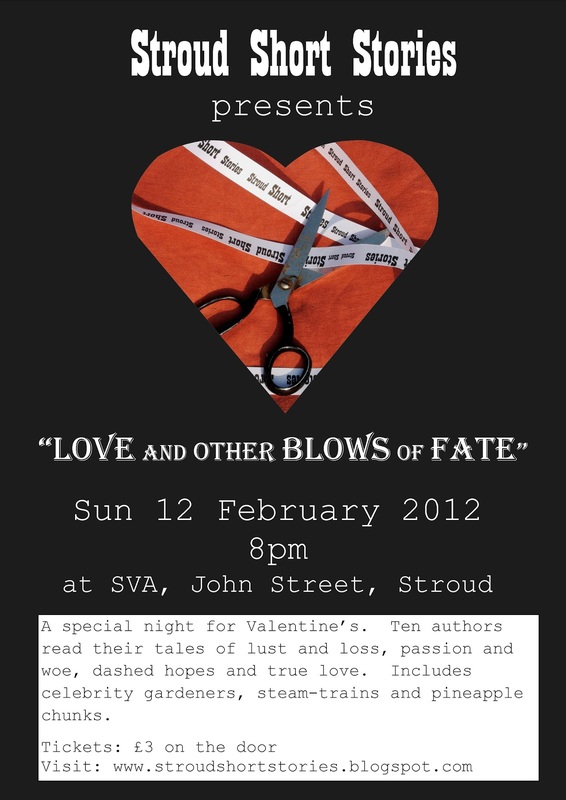 "Love and Other Blows of Fate"
Stroud Short Stories is ready with a red rose between its teeth for the 12th of February and our first themed event "Love and Other Blows of Fate". We have ten selected authors eager to share their tales of love and loss, passion and woe. With celebrity gardeners, steam-trains and pineapple chunks included. Our headliner is Jane Bailey, author of Tommy Glover's Sketch of Heaven. The event starts at 8pm and takes place at Stroud Valleys Artspace.